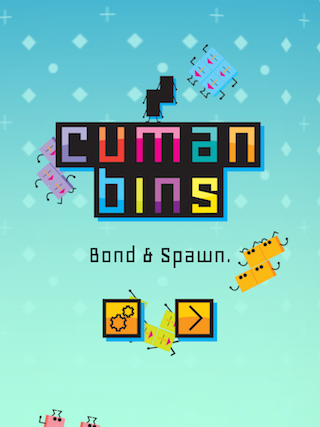 Cumanbins is a fun 3D matching game. Players can SWAP, FLIP and WHIRL the cubes to get 4 of the same color cubes next to each other to score. 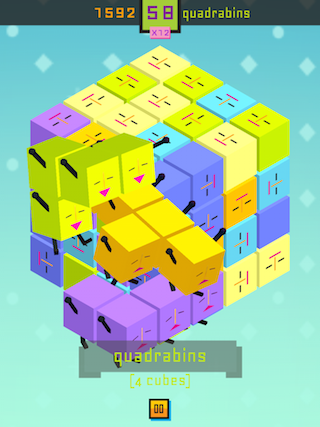 Imagine playing Bejeweled on the Rubik's cube! The innovative controls are easy to learn but will take time to master. 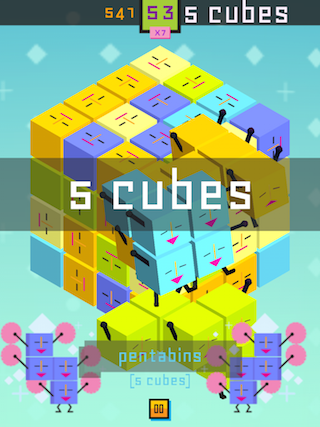 This fast paced colourful game will test your 3D orientation planning skills like never before! - Color Count Mode - As the game progresses, new colours will be added to challenge the player to next level. 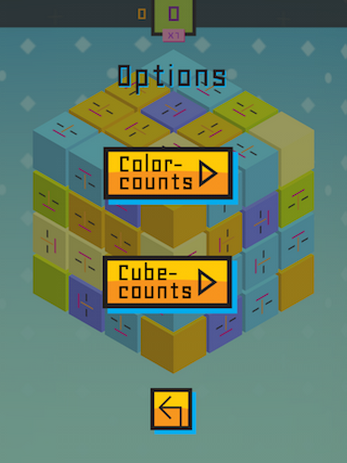 - Cube Count Mode - As the game progresses, more of the same colour cubes are needed in order to score.